Preheat oven to 425°F. Heat tortillas in the microwave until softened. Sprinkle 1/3 cup of cheese into the center of each tortillla. Roll and place in an 9x11 inch baking dish which has been sprayed with a nonstick cooking spray. Pour the Old El Paso™ enchilada sauce over the rolled tortillas. Sprinkle remaining cheese on top. Sprinkle jalapeños, tomatoes, and olives over the enchiladas. Bake in preheated oven for 12-15 minutes, or until cheese is bubbly. Top with sour cream and serve with your favorite rice, beans, or margaritas! Enchiladas are one of those meals that everyone loves. They are quick, simple to make, and full of fantastic flavor. 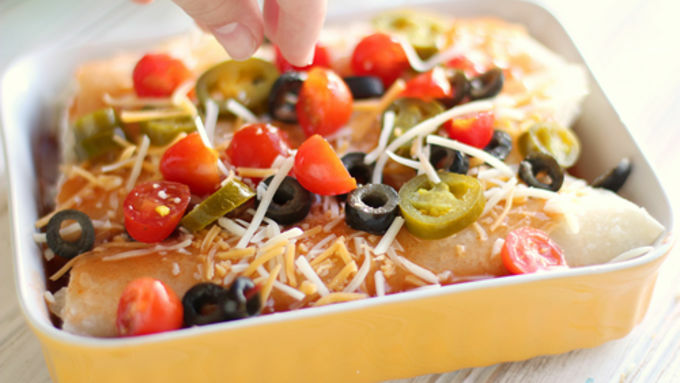 To give the ho-hum usual a quick and splendid twist, this recipe takes the basic cheese enchilada and amps it up with some inspiration from your favorite ball-park nachos. Topped with all sorts of savory add-ons, these Easy Cheese Enchiladas go from ingredients to eats in less than twenty minutes. 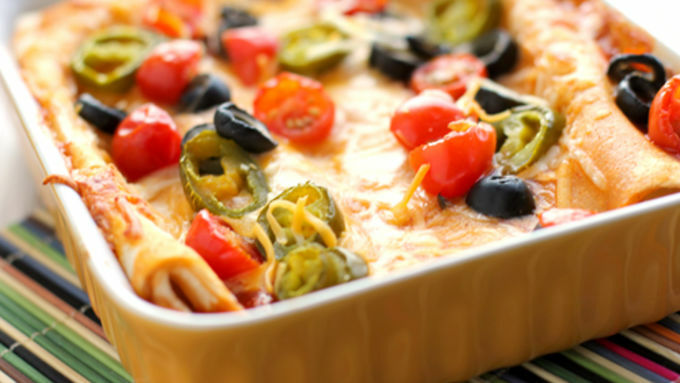 Grab a few basic ingredients: Old El Paso Enchilada sauce, cheese, olives, jalapenos, diced tomatoes, sour cream. 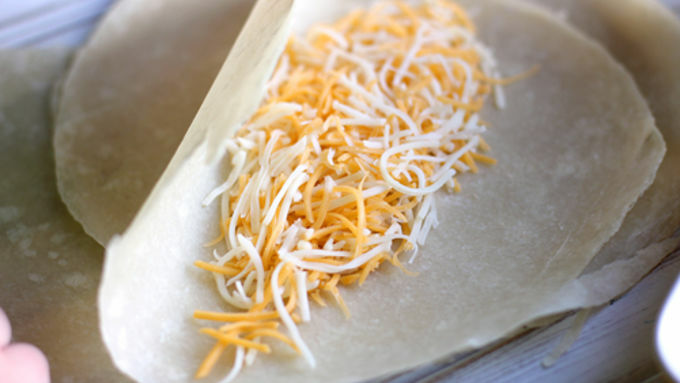 Toss a hearty handful of cheese into the center of a corn or flour tortilla. We love using the fresh tortillas which haven’t yet been browned. They have a soft, thin, chewy texture and cook up well in enchiladas. Drizzle that sauce! 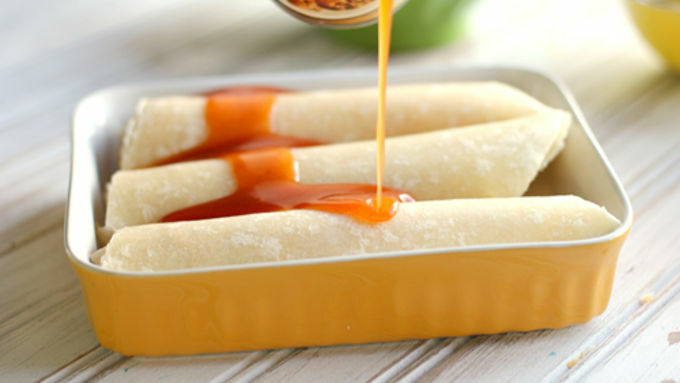 Slather the daylights out of your enchiladas with Old El Paso Enchilada sauce. Seriously, this recipe can’t get any easier, can it?! Give your enchiladas an extra kick of creaminess by schmearing a bit of cream cheese inside your tortillas along with your shredded cheddar. 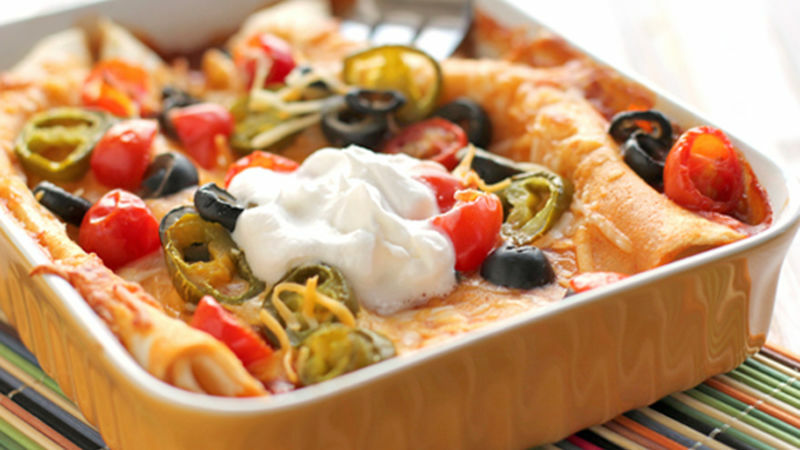 Top your enchiladas with your favorite nacho toppings. There are no boundaries here. If you like it on top of nachos, you’re going to like it on your enchiladas too! Bake your enchiladas until the cheese is bubbly and the edges of the tortillas are golden brown. Serve them up with sour cream and your favorite margarita for a truly quick and delicious meal. Then you'll love these Mexican-inspired recipes!